Nxt is an open-source cryptocurrency and payment network. It was created by an anonymous person or group known as BCNext. It was originally developed as a platform designed for building applications and financial services. Unlike Bitcoin, which uses a Proof-of-Work (PoW) algorithm to reach consensus, Nxt uses a Proof-of-Stake (PoS) algorithm. This means that it Nxt does not require mining and that there is a static money supply. What Is the Difference Between Proof-of-Work (PoW) and Proof-of-Stake (PoS)? The major differentiating factor between these two algorithms is that Proof-of-Work is a requirement to define an expensive computer calculation. This is known as mining. The first user whose computer manages to solve the mathematical problem is rewarded. This requires extensive amounts of computer processing power and can be a very expensive and ultimately wasteful process. Proof-of-Stake, on the other hand, is when the creator of a new block is chosen deterministically, according to their wealth. This is far less wasteful, and therefore much more cost-effective than Proof-of-Work. For hackers looking to attack the network of a Proof-of-Work currency, they would first be required to invest heavily in mining gear. This upfront investment acts as a heavy incentive not to attack the network. On the other hand, with Proof-of-Stake cryptocurrencies, attacking the network would require the hacker to own a significant amount of the currency themselves. Hence, hacking the network would greatly devalue their holdings. Proof-of-Stake has begun to receive more attention ever since it was announced in the Ethereum Roadmap that Ethereum would be moving from Proof-of-Work to Proof-of-Stake as part of the Casper Protocol. Unlike other cryptocurrencies like Bitcoin, Nxt functions just by using the stake-size owned by the user. This means that users are not required to use their computers to mine blocks. Instead, owning a greater amount of stake increases the likelihood of an owner adding a block to the chain. This significantly reduces waste. Nxt was the first currency to rely solely on proof-of-stake. As a result of using this algorithm, it has a block creation rate of approximately one minute. For comparison, the block creation time for Bitcoin is approximately 6 per hour. Aside from this, Nxt differs largely from many other cryptocurrencies in that it is written completely from scratch. The Nxt platform is coded in Java. Its founder, BCNext, also requested that NXT cryptocurrency was not the important part of the platform and that other users should be encouraged to build on top of it. Nxt has proven to be a very successful platform thus far, and Jelurida, the company behind its success, will continue to work on it for the foreseeable future. 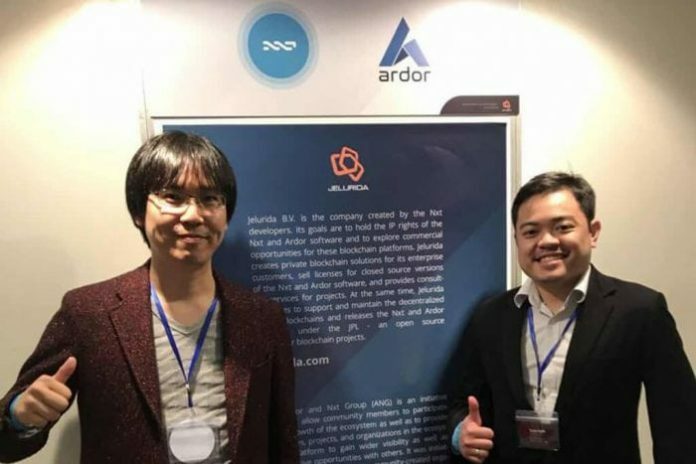 Jelurida has also released an additional platform, known as Ardor – essentially an evolution of the Nxt software. To explain the major differences between these two platforms, the team have released a technical feature comparison list. This platform utilizes the blockchain technology of Nxt through child chains to address problematic issues such as blockchain bloat, scalability, and versatility. These child chains are described as light blockchains that are customizable to a certain extent.